Whether you are renovating an old treasure or starting with a blank slate, designing and building a new kitchen has the potential to be a joyful and creative experience, or it could wreak havoc for months (yes, we've heard the stories, too). 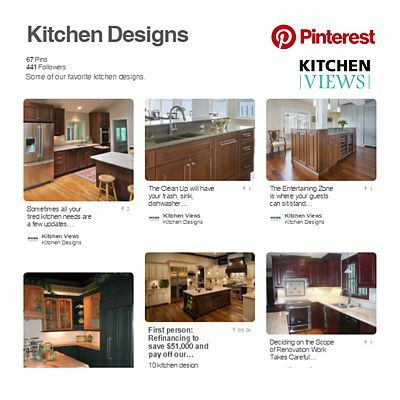 The Kitchen Views Design Team is committed to making your experience as easy and timely as possible. A new kitchen involves much more than choosing a cabinet style. Our experts recommend the following 10 tips. Learn how to take measurements for your kitchen. This is a good start to provide to your designer, so they have a basic understanding of the space. Find more design guidance here, including interior design and choosing colors, plus expert advice on purchasing appliances. Read everything you can to become an educated consumer. Learn the basics of cabinetry construction, product options and room layouts. Look at Pinterest, websites, books, and magazines to see what style you like and gather design ideas. Compile pictures and notes to show to your designer. But ready or not, you can trust the Kitchen Views experts to guide you through the process, where the designers are pros and the views are yours. Now call Kitchen Views at 508-DESIGNS [508-337-4467] to make a design appointment. We can help you to enjoy your kitchen before it's even built!